If you've got an iPhone with TouchID, and you're mourning the loss of the ability to unlock your phone without pressing the home button, there is hope. iOS 10 introduced a feature called "Raise to Wake" that allows the user to raise their phone to activate the screen. This is a pretty cool feature as it lets you see notifications without pressing the home button, but the feature now requires a button press to unlock the phone. And sadly, the Raise to Wake feature is only available on more modern versions of the iPhone. 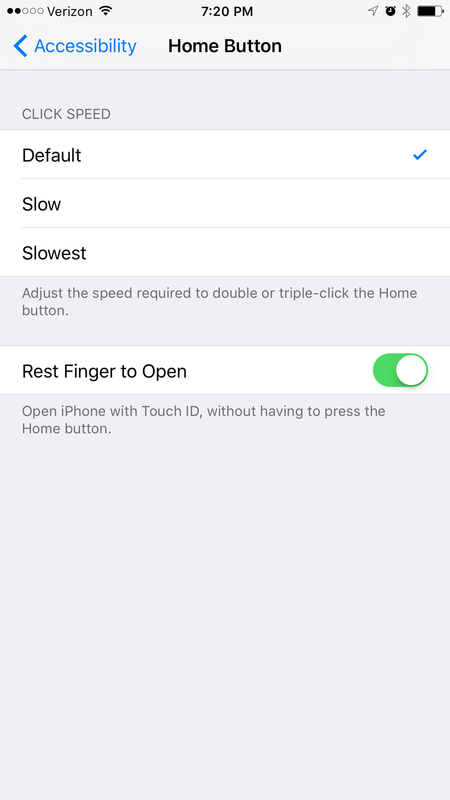 You can find the home button settings in Settings > General > Accessibility > Home Button. Toggle on Rest Finger to Open.